Quite Fast For A Snail: Incoming Mail 3.-7.2. The first one arrived from South Korea. 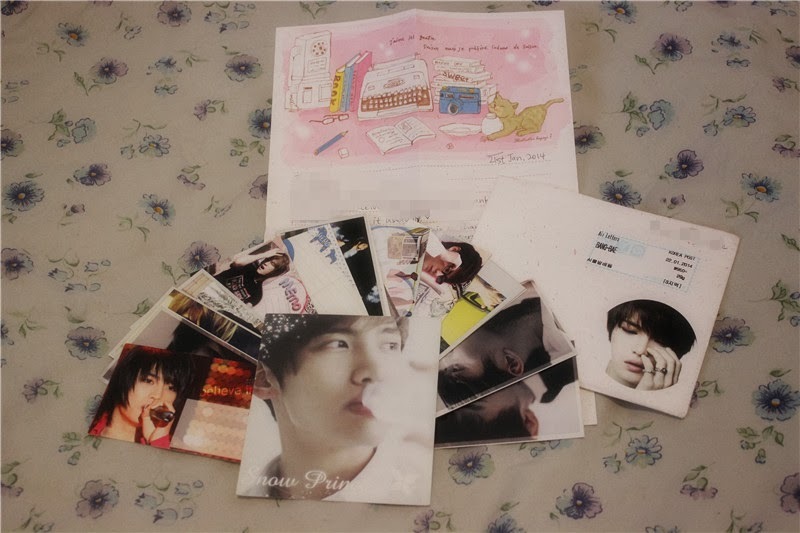 She sent me a short letter and my favorite band themed memo sheets. 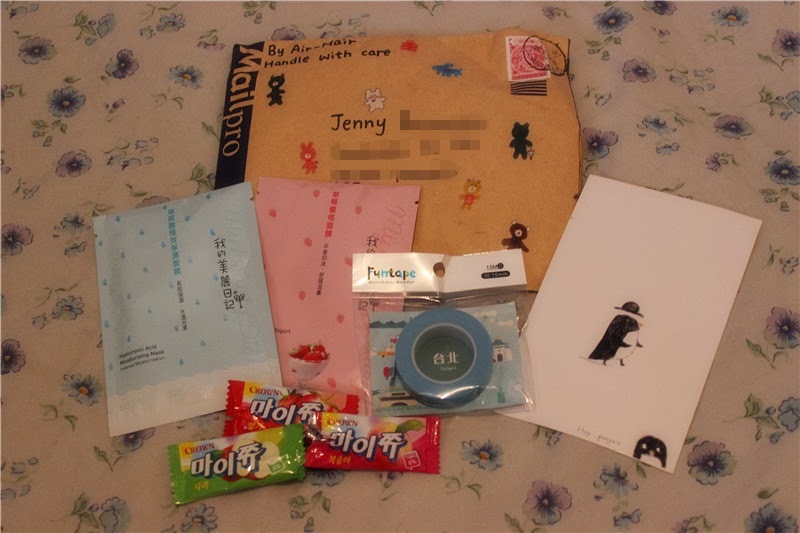 This tiny packet was sent to me by my Taiwanese penpal. She sent me facial masks, masking tape and sweets. I love this tape very much! 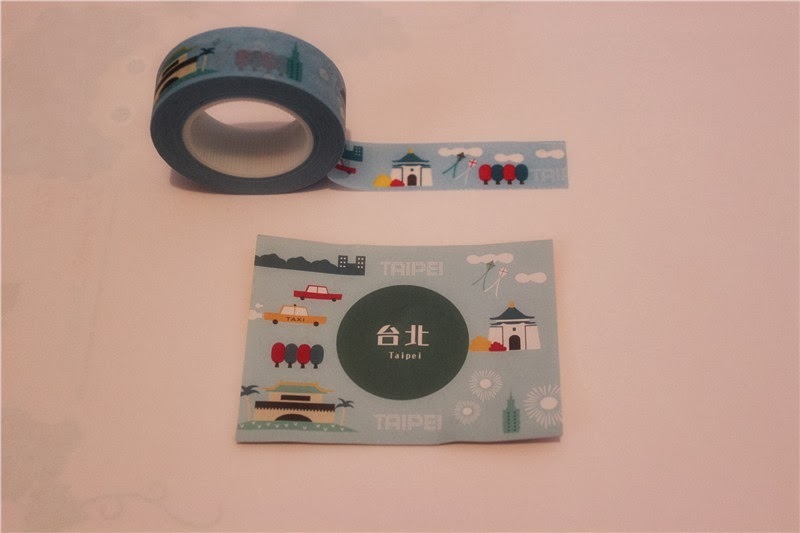 It is Taipei themed.